• Long climbing posts for extensive climbing and claw sharpening. • High-level platforms for observing and relaxing. 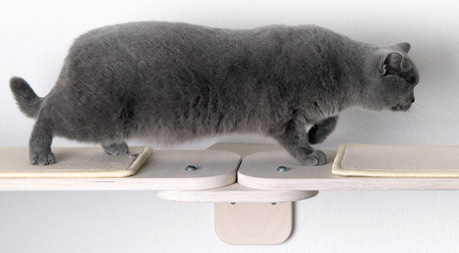 • Long cat walks for walking about at lofty heights. • Stairs or platforms for a safe ascent or descent. 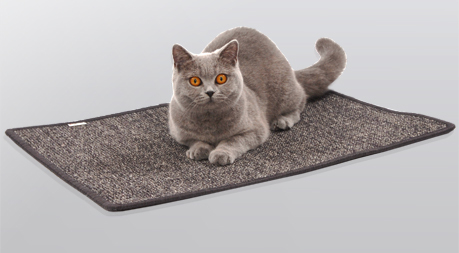 • Scratching mats for claw care and for walls already “chosen” by your cat. 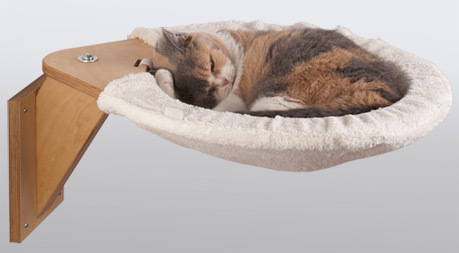 With our wall-loungers you can create new favorite places for your cat. Design with our Catwalks a fun and adventure playground for your cat. Scratching mats made of sisal. For claw care and for walls already “chosen” by your cat. 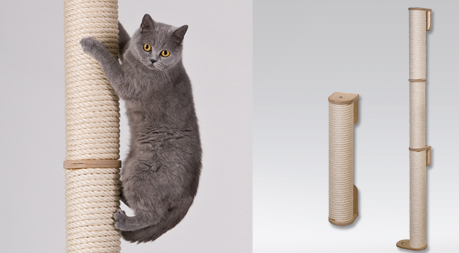 Climbing posts and scratching posts for extensive climbing and claw sharpening.